How about some crisps? 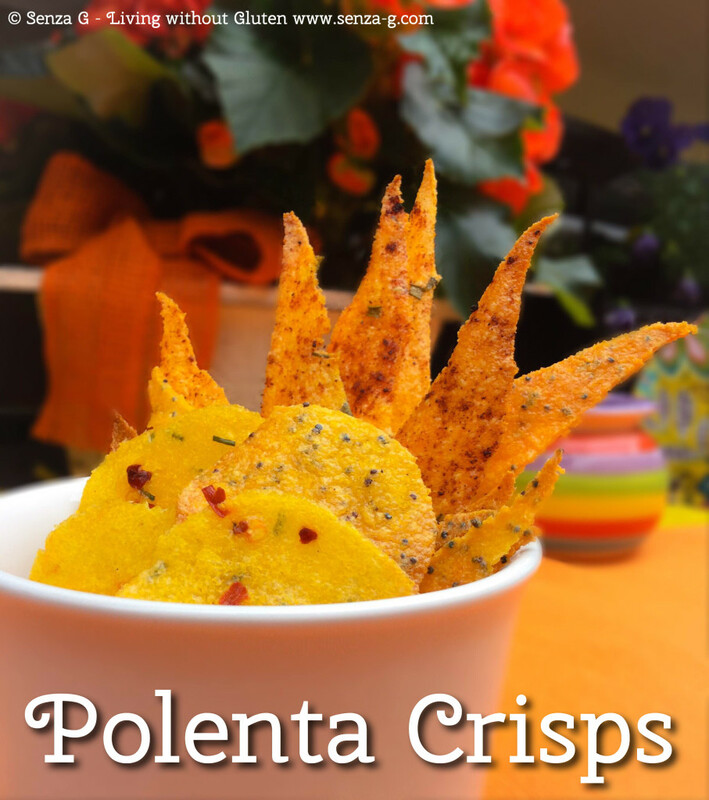 But made with humble Polenta and baked in the oven! No frying involved. These are seriously good especially if you spice them up! Here I used the instant polenta in this ratio – 1:3. So for one cup of gluten free instant polenta you need three cups liquid, which in this case I have used vegetable stock instead of water for flavor. All you have to do is prepare the instant polenta as per package in this ratio. Add salt and some herbs and spices to it as well. You can add chopped chives, ground pepper, rosemary, poppy seeds and smoked paprika for example, depending on your tastes. At the end, mix in some freshly grated cheese and combine well. Now to make the crisps, pour the polenta on a large piece of baking paper, leveling it with a wet spatula. Take another large piece of baking paper and place on top of your Polenta. Using a rolling pin, roll over the paper until the polenta is very thin. Gently remove the top baking sheet. Score the polenta into triangles using a sharp knife. Or you can use a round cutter to make simple circles. Lift the polenta together with the bottom baking paper and place on a baking sheet. Brush the top lightly with some vegetable oil. Place in a preheated oven (220C) and bake till crispy. Remove from the oven and let it cool completely before breaking the triangles apart if you made triangles or lift the circles out if you preferred to make round crisps.